Start Your Engines! 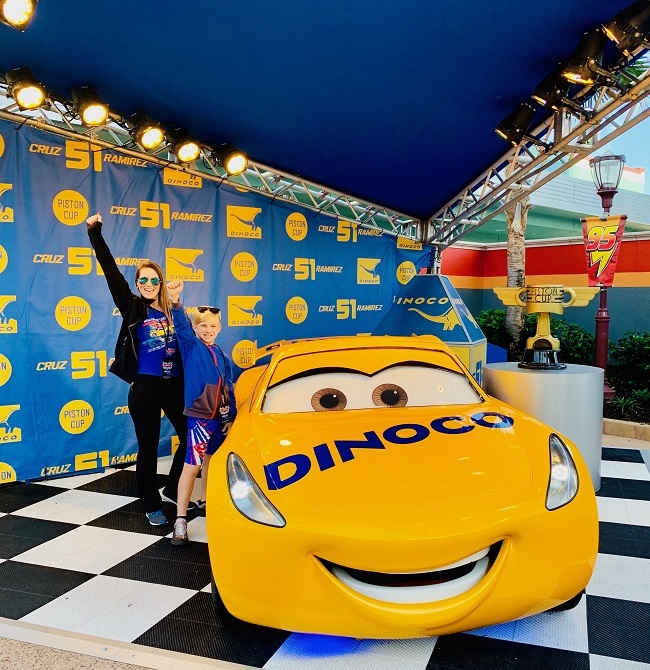 Lightning McQueen Racing Academy is Now Open! 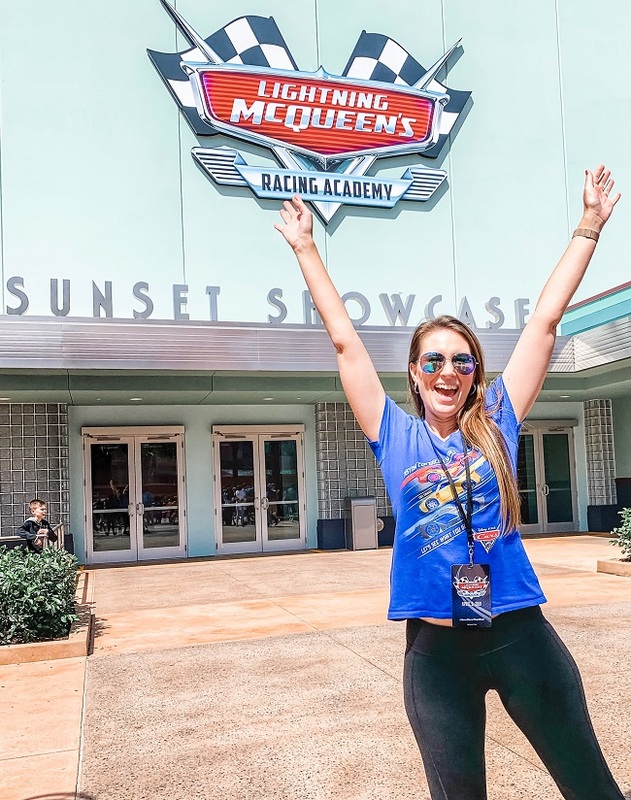 You’ll want to race over to Hollywood Studios soon for the all-new Lightning McQueen Racing Academy! The first-of-its-kind show will put you in the middle of the Disney Pixar Cars universe! In addition to the show, you can meet and snap photos with Cruz Ramirez and join DJ’s Ready! Set! Party Time! Here’s everything you need to know about the Racing Academy including an exclusive video tour! Learn what it takes to be a champion racer in this wraparound screen studio. The studio only has about a 15-minute wait (at time of opening). 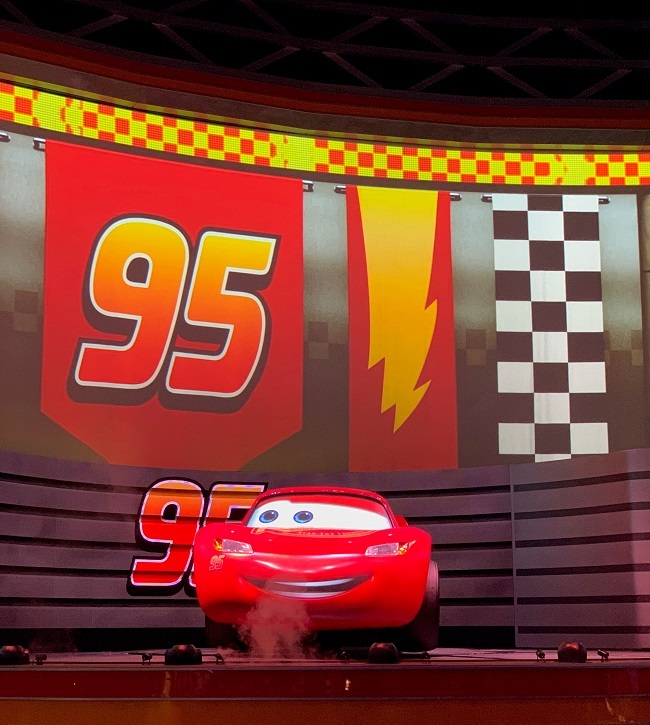 Once inside, take a seat and be entertained by Lightning McQueen’s pals with fun quizzes and animated interactions before the show begins. Soon, Lightning McQueen appears and takes us on one wild ride! When things don’t go exactly as planned, he has to think fast to get back on course. The show is approximately 10 minutes start to finish and full of exciting entertainment. 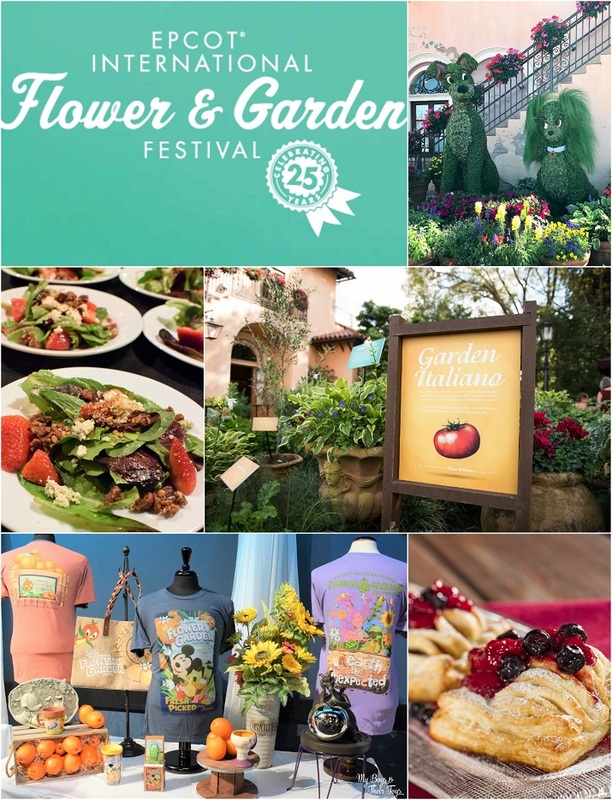 Head to the courtyard after the show to experience Cars-inspired dances and games. 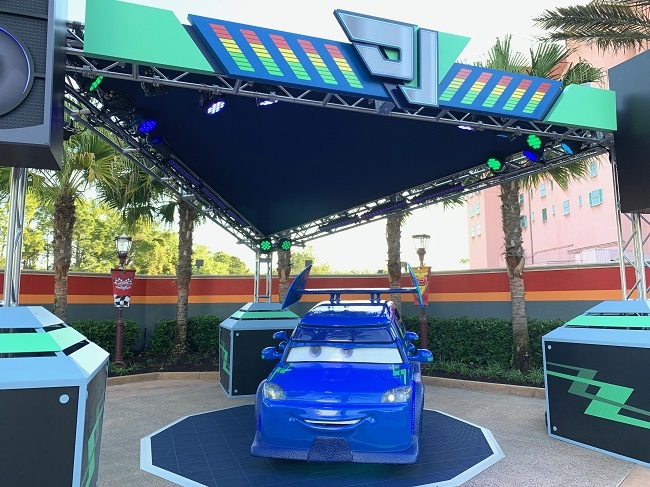 DJ—the ultimate party car from Route 66 interacts with fans (especially kids) to get them revved up for the party. As well as trainer-turned-racer Cruz Ramirez is there to snap photos with her fans. DJ’s Ready! Set! Party Time! is daily between 10 am and 6 pm. 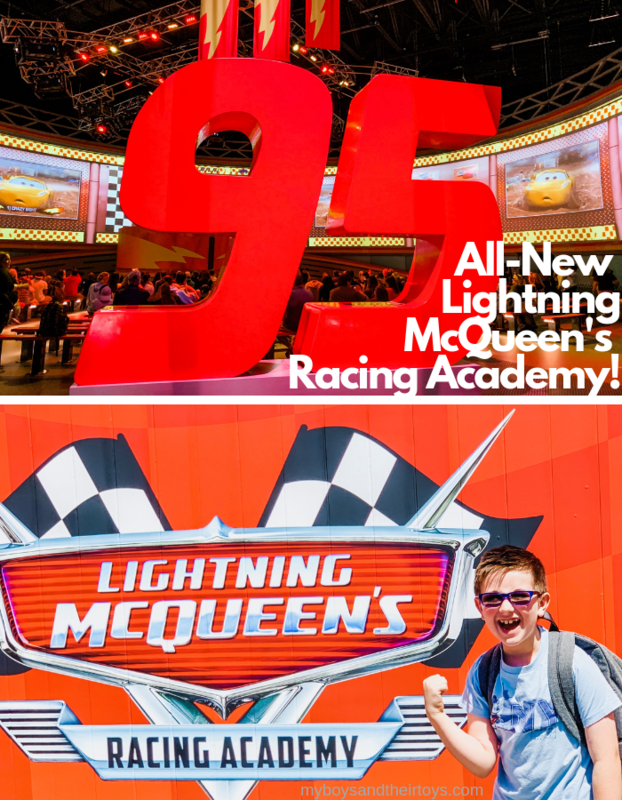 Check out the exclusive Lightning McQueen Racing Academy Video Tour! 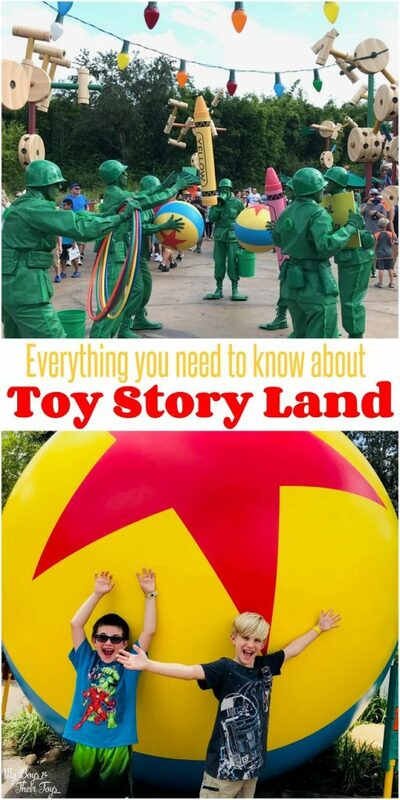 Cars fans will love this brand new edition to Hollywood Studios!